"I recently bought a Akadema ANF-71 and you shipped it out right away. Everything was as promised, and I got it sooner than I expected. Thanks for everything. I will recommend you to everyone on my daughters team." Add Custom Color Laces to your new Akadema glove. "Complete That Custom Look with Thumb Loops to Match Your Lace"
Great Prices on last years models, or lace colors that are not made anymore, or who knows what you may find here. Hand Crafted, Made in USA Baseball and Softball Gloves. Crafted of the Finest Leathers in the industry. "great company to deal with. have a nice array of colors of lace to choose from. fast shipping so i was able to get my glove done before i needed it that weekend..."
"I ordered an Akadema APM66 catchers mitt to replace my old TPS mitt (my daughter wore it out after more than 10 years). The new mitt arrived promptly, in just a few days, and is all that was advertised. Mitt is light and design does in fact direct the ball away from the hand joints. I have very large hands - mitt fits fairly well, better as it breaks in. I have been very pleased with the service and product. Price was good, too." Would you like to see something more? Fastpitch Softball and Baseball Gloves for Girls, Boys, Women and Men. The best softball gloves available for all ages and skill levels. The Revolutionary line of Akadema Fastpitch Softball gloves include the Reptilian and Praying Mantis Designs. How To Choose the Right Fastpitch Glove! Breaking In Your New Glove the Right way! Take Care of Your Glove to Make it Last! Welcome to BuyFastpitchGloves.com - The Place to Buy Fastpitch Softball Gloves and Pro Quality Lace! Our goal is to help you quickly find the best Softball Gloves for you. Choosing a Fastpitch Glove is more than just a color or size, there are many choices available today. We can answer all your questions to make your buying decision a pleasant one. We can help you choose Womens Fastpitch Gloves, Girls Fastpitch Softball Gloves, a Youth Fastpitch Softball Glove or a Men's Fastpitch Softball Glove or Slowpitch Softball glove. We have the best fastpitch gloves for the Professional Fastpitch Softball player, the Competitive softball player or High School softball player and for the Beginning softball player that is not quite sure what she needs in a quality girls fastpitch glove. Akadema fastpitch softball gloves are among the absolute best softball gloves available. 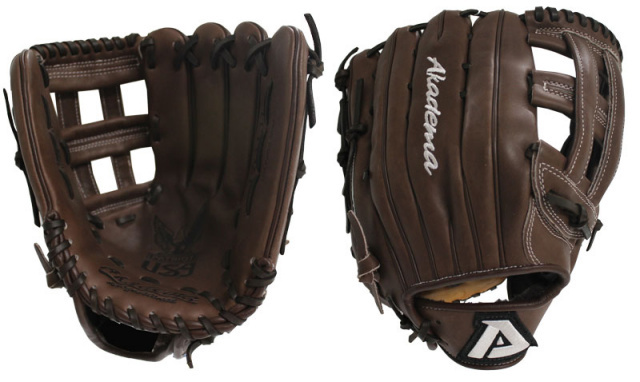 The Akadema youth fastpitch softball gloves are well suited for the boys that want to play fastpitch. Take a look at the Akadema softball mitts for First base and catchers. Not only will you find a great fastpitch softball glove, but accessories and glove Repair and Relacing supplies. Buy your softball glove now, and don't forget your Batting Gloves. Hey Southpaws! Left Hand Throw Gloves are available on most models! FREE Glove Conditioner with Glove Purchase! Order Securely Online 24 Hours a Day, 7 Days a Week!